We consider potential efficiency gains for time sub-cycling, or time refinement (TR), on Berger-Collela and oct-tree AMR meshes for explicit or local physics (such as explict hydrodynamics), where the work per block is roughly constant with level of refinement. We note that there are generally many more fine zones than there are coarse zones. We then quantify the natural result that any overall efficiency gains from reducing the amount of work on the relatively few coarse zones must necessarily be fairly small. 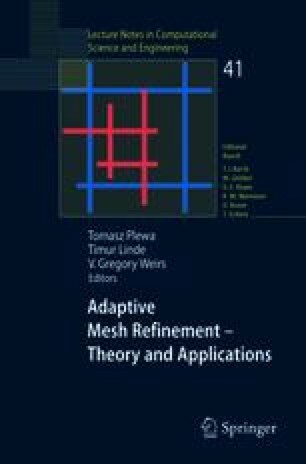 Potential efficiency benefits from TR on these meshes are seen to be quite limited except in the case of refining a small number of points on a large mesh — in this case, the benefit can be made arbitrarily large, albeit at the expense of spatial refinement efficiency.